He graduated from Magdalene College, Cambridge University, Cambridge, Cambridgeshire, EnglandG, in 1816 with a Master of Arts (M.A. 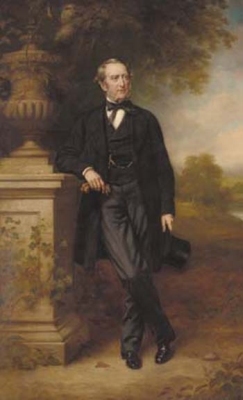 )1 He succeeded as the 4th Viscount Nevill, of Birling, Kent [G.B., 1784] on 12 April 1845.1 He succeeded as the 4th Earl of Abergavenny, co. Monmouth [G.B., 1784] on 12 April 1845.1 He succeeded as the 18th Baron of Abergavenny [E., 1450] on 12 April 1845.1 He was the Vicar at Frant, Sussex, EnglandG.1 He was the Rector at Birling, Kent, EnglandG. He held the office of Chaplain to King William IV. [S6] Cokayne, and others, The Complete Peerage, volume I, page 44. Her married name became Nevill. 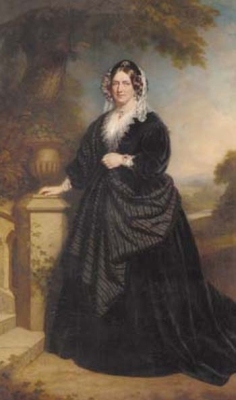 After her marriage, Caroline Leeke was styled as Countess of Abergavenny on 12 April 1845. [S6] Cokayne, and others, The Complete Peerage, volume I, page 43. [S6] G.E. Cokayne; with Vicary Gibbs, H.A. Doubleday, Geoffrey H. White, Duncan Warrand and Lord Howard de Walden, editors, The Complete Peerage of England, Scotland, Ireland, Great Britain and the United Kingdom, Extant, Extinct or Dormant, new ed., 13 volumes in 14 (1910-1959; reprint in 6 volumes, Gloucester, U.K.: Alan Sutton Publishing, 2000), volume I, page 42. Hereinafter cited as The Complete Peerage. From 3 October 1781, her married name became Neville.1 After her marriage, Mary Robinson was styled as Countess of Abergavenny on 9 September 1785. She was also known as Harriet Pelham.3 From 18 May 1748, her married name became Temple. From 5 February 1753, her married name became Neville. 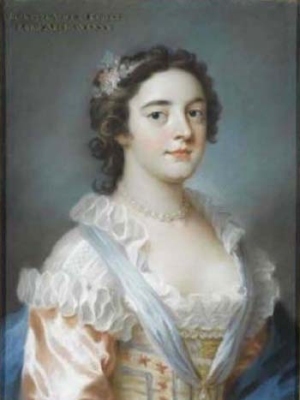 After her marriage, Henrietta Pelham was styled as Baroness Abergavenny on 5 February 1753. [S6] G.E. Cokayne; with Vicary Gibbs, H.A. Doubleday, Geoffrey H. White, Duncan Warrand and Lord Howard de Walden, editors, The Complete Peerage of England, Scotland, Ireland, Great Britain and the United Kingdom, Extant, Extinct or Dormant, new ed., 13 volumes in 14 (1910-1959; reprint in 6 volumes, Gloucester, U.K.: Alan Sutton Publishing, 2000), volume I, page 40. Hereinafter cited as The Complete Peerage. From 20 May 1732, her married name became Neville.2 After her marriage, Lady Rebecca Herbert was styled as Baroness Abergavenny on 20 May 1732.